Sign up with your name and email to receive our free report. As parents, we are the ultimate organizers and planners of our children’s lives. From the moment they are born until they turn 18, we plan their education, health and activities. Yet, we put off making plans for who we want to care for our children should something happen to us. Unimaginable accidents happen. If something happened to you and you weren’t able to communicate your wishes, who would care for your children? Did you know that if the police do not have clear instructions from you about who is to care for your minor children, they could be put into the custody of Child Protective Services? Envision how traumatic that situation would be for your children. You’re gone. They are living with strangers—scared, hurt and angry. 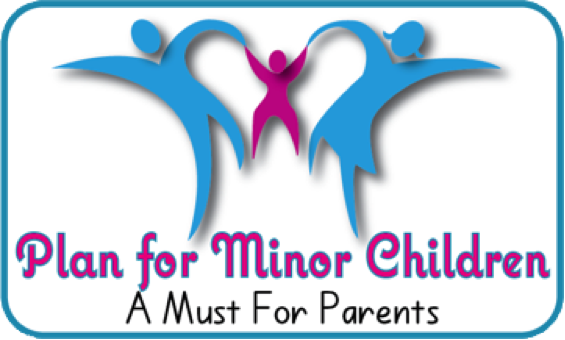 The Plan for Minor Children is a set of instructions and legal documents that provide directions for estate planning of your minor children should something happen to you and you cannot communicate your wishes. Your Plan for Minor Children will ensure your children are raised by the people you choose, who share your values and beliefs. Contact an experienced St. Petersburg estate planning attorney today for more information. Declaration of Temporary Guardian for Minor to name temporary guardians who can be there immediately for your minor children, so they’ll never be taken into the arms of strangers or anyone you would not want. Not even for a moment! Declaration of Pre-need Guardian for Minor to name permanent legal guardians who will raise your minor children just as you would, so there is no family feuding over them. Instructions and guidelines for your permanent guardians on how you want your children to be raised… making sure they are raised with your values, insights, stories and experience. Filing of the Declaration of Pre-Need Guardian, per Florida Statute, with the clerk of court in the county in which the child resides. When it comes time for the court to appoint a permanent guardian for your minor children, the court will have your declaration already on file. Letters to your temporary and permanent guardians advising them of their roles and responsibilities if called upon. Powers of Attorney for Care of Minor which allows you to name someone (Attorney-in-Fact) to act on your behalf to take care of any and all actions necessary for the safety and care of your child if you are unable to do so for any reason. You can choose to have the authority under this document expire at a specific time or when your child turns 18. Designation of Health Care Surrogate for your minor children so the next time they travel without you or you travel without them, you know they will receive the medical care they need. As the Baby Boomer generation ages into the seniors of our society, the up-and-coming adult generation is the Millennials. As Millennials become a significant part of the workforce, these young adults will be earning more substantial paychecks and will need to decide what to do with the money they earn. Millennials are the most educated and tech-savvy generation to date, and therefore, they have a lot of potential for financial success. You would think that this would increase the number of Millennials who are looking into their estate planning options. However, a common theme for Millennials is that they want to focus on their quality of life in the current moment instead of necessarily thinking about or planning for the future. Instead of investing their income, they may want to spend it on trips around the world or other adventures. In addition, many Millennials are delaying major life milestones such as marriage or having children. This means that they may also delay steps, such as purchasing life insurance, starting retirement accounts, or establishing an estate plan, as those are generally steps people take when they start a family or have loved ones they want to support. Millennials are known for writing their own rules and it is no different when it comes to estate planning. Instead of sitting down and designing a traditional estate plan, Millennials may want a plan that fits their needs at this time. As a young adult, you may still be pursuing your higher education, getting started in your career or embarking on life’s journey. Therefore, you should designate who can act for you (typically a parent or trusted person) to make important decisions regarding matters affecting your property, finances and health, in the event you are unable to make those decisions on your own. As a parent of a young adult, you may want to encourage your child to begin his or her estate planning because of the simple fact that the day your child turns 18, he or she becomes an adult, and therefore has the legal rights of an adult. What this means for you is that you lose your prior held rights to make medical and financial decisions for your child, unless your child executes legal documents giving you those rights back. Without the proper legal documents in place, accessing medical or financial information, or even being informed about your adult child’s medical condition can be difficult, and in some cases, impossible. Kira Doyle Law’s Plan For Young Adults is the first step in the ever-changing estate planning process. Your Plan ensures that your goals are met and creates the outcomes you desire. This Plan includes the basic estate planning documents necessary to make sure you are properly protected when you are just starting out in life. This document names an agent (attorney-in-fact) to take care of personal and financial matters in the event you are unable to do so. This is a powerful document that gives broad access to sensitive financial and legal decision making and should only be given to a trusted person, such as a parent or a friend. This document is especially important to consider before engaging in any risky behavior, such as skydiving, mountain climbing or traveling around the world! A Simple Will designates who you would want to take care of your property in the event of your death. For example, you may not have children, but if you have a pet, you should designate who will take care of your beloved pet if something happens to you. This document also disposes of your real or personal property, as well as dictates who is to receive such property upon your death. This document designates who you would want to make medical decisions on your behalf (Surrogate), either immediately of if you become incapacitated in any manner. This document is a statutory form used to state your wishes regarding the use of life-sustaining measures should you become terminally ill. The Living Will works with the Designation of Health Care Surrogate to provide a full set of directions to your physician. This worksheet consists of our Digital Assets and Passwords Worksheet, which allows you to record the passwords and usernames for your digital assets, such as your online banking and social media accounts. This Worksheet has sections for business information, financial information, e-mail, telecommunications and social media accounts, along with a few additional areas. This contains your Digital Asset Worksheet as well as digital copies of the above-mentioned documents, once they have been executed.